For a trouble-free move to Menifee, Meathead Movers is the company for you! Our professionally trained student-athlete movers are ready to get you into your new Menifee home. Amidst the hustle and bustle of Southern California life, there is a relaxed community hidden in beautiful Riverside County. A little over an hour inland from Los Angeles and only 40 minutes from the San Bernardino International Airport, Menifee is close enough to get to the big city when needed while still enjoying the perks of small town life. If you are considering moving to this quaint Southern California town, you should consider using Meathead Movers, Menifee’s movers of choice. Arrange the details of your upcoming move with us, and we’ll take care of the heavy lifting for you. Near beautiful mountains and deserts, Menifee is a picturesque area with diverse scenery. All its residents can equally enjoy the benefits of the Valley-Wide Recreation and Park District. If you are a lover of movies in the park and year-round access to quiet fitness trails, athletic fields, playing courts, water recreation, sports leagues, and more, you will love this valley community. West of the San Jacinto Mountains, near numerous state parks, and a short distance from the Aquatic Center at Diamond Valley Lake, Menifee has countless opportunities for outdoor recreation. You will need a map to find them all! 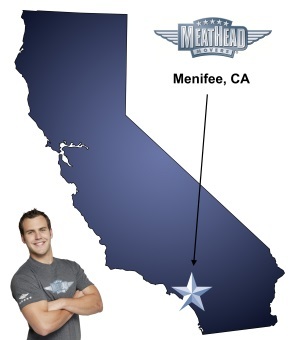 The best among Menifee Movers, Meathead will help you get settled in your new home in no time at all. Our student-athlete movers can handle any type of move including local, long-distance, and commercial moves. We can even pack the entire contents of your home and transport them safely to your new home with our Princess Packing service. We take pride in being the best movers for you. All our movers are student-athletes who jog when not carrying your goods, ensuring a fast and efficient move. We also offer our distinctive moving concierge service to connect you with local service providers. As a valued client, you will get all the benefits of moving with the largest independent mover in California. With our 100% satisfaction guarantee, the only thing you have to lose is the stress that comes from moving! So contact us today for a free no-obligation moving quote and to learn how we can help you on your next move! Moving to Menifee? Here are some helpful resources. It's just amazing how professional, and hard working the young men are that work for this company. They have a positive attitude and instill confidence in their abilities. Wires, cable boxes, routers and tv mounts should not be all dumped in one box all mixed up together! It was a nightmare to figure out what part belonged to which tv!! Same goes for window treatments and rods.